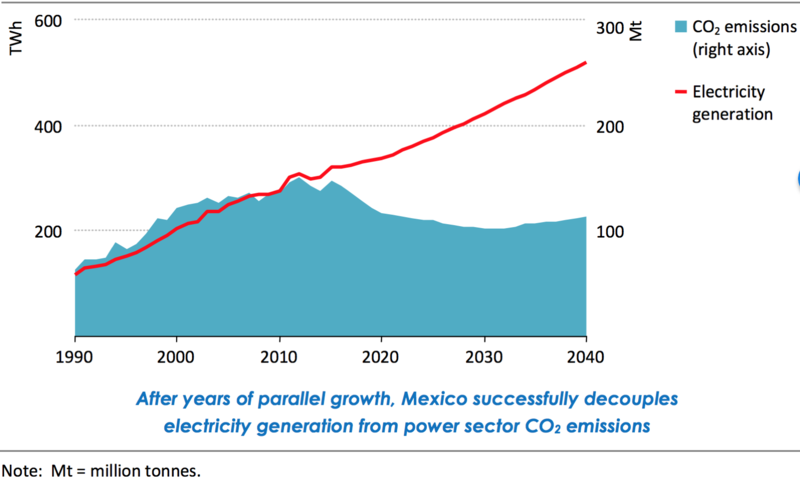 Home Blogs Tom Russo's blog Will NAFTA Renegotiation Stop Greening of Mexico’s Power Sector? Today trade representatives from Canada, Mexico and the United States are meeting in Washington DC to begin renegotiating the North American Free Trade Agreement (NAFTA). Everyone is focused on jobs, competitiveness and modernizing the agreement. Few people are tuned into the environmenal side of things at this time, but they should be because of the environmental benefits. NAFTA has been around for about 25 years, but not much was happening with energy trade between Mexico and the U.S. until Mexico deregulated it energy sector a few years ago. U.S. shale gas will play an important role in greening Mexico's power sector and produce benefits economic and environmental benefits for both countries. However, if negotiations stumble, then the environmental beneifts to Mexico and North America as whole may take much longer to achieve. See "Russo, T. (2017, September). Will NAFTA Renegotiation Stop Greening of Mexico's Power Sector? Natural Gas & Electricity 34/2, ©2017 Wiley Periodicals, Inc., a Wiley company." Will NAFTA's Repeal Threaten U.S. Natural Gas Exports to Mexico and Global Markets?